Would it be a week devoted to new babies without mentioning Freshly Picked? No way! 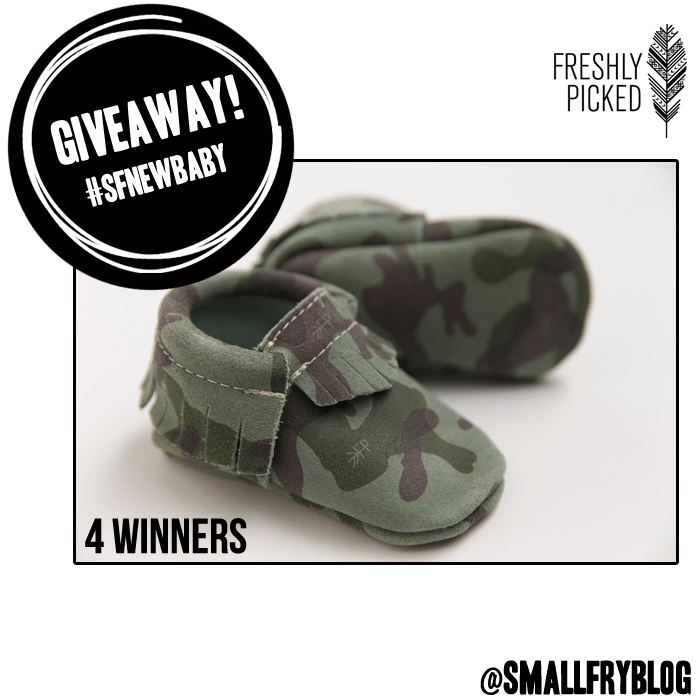 We have a crazy exciting giveaway today, FP is giving away a pair of their brand new, just launched today, exclusively designed Camo Moccasins! But not just one pair, four lucky winners will receive a pair of these moccs. We like to believe, no, we KNOW we are some of Freshly Picked’s oldest and most loyal fans. We have pairs of Susan’s first generation moccs and have put our oldest boys in them since they were tiny, tiny babies. We’ve passed them down to their brothers, and added to the collection year after year. Watching Susan’s company boom over the last few years has been so exciting and it is all well-deserved, and earned after hard, hard work. Don’t miss the chance to win a pair of these limited edition Camo moccs before they’re gone! 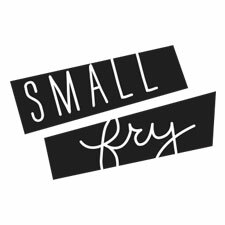 Hey Small fry….I pinned this and added it to facebook but it said I have no entries. What am I doing wrong? Thanks so much for being super awesome! Weee! So worth entering- SFB + FP = <3 my little Oliver's faves! Never wanted to win a contest so badly! Fingers crossed! When I click the link from the “pin it” image, it shows an error on your page.. Wondering if it’s just me..? My little boy Nash would LOVE to win a pair! His daddy was a Marine and served two tours overseas in Iraq and we LOVE camo!!! I pinned, but it’s not taking my URL. 🙁 Help! I might die and go to heaven if I win these!! They are so so dang cute!! I totally adore them!! I can’t you how much I am in love with these moccs!!! They are to die for. I am sad freshly picked is already sold out of them. Crazy, in less then a day! My son would look so cute in these with his new bandana bib!! Love the blog!! Thanks for the opportunity to win some fabulous prizes! They are so cute – love the colors!! Freshly Picked has the sweetest baby things! Thanks so much! I absolutely adore these! Need them in my life! Ermahgerd, my little boy would look so adorable in these! We would love to win our first pair of moccasins! Fingers, toes, and eyes crossed… lol! So cute! Tried entering over and over and I kept being booted to nowhere…wonder what happened! !